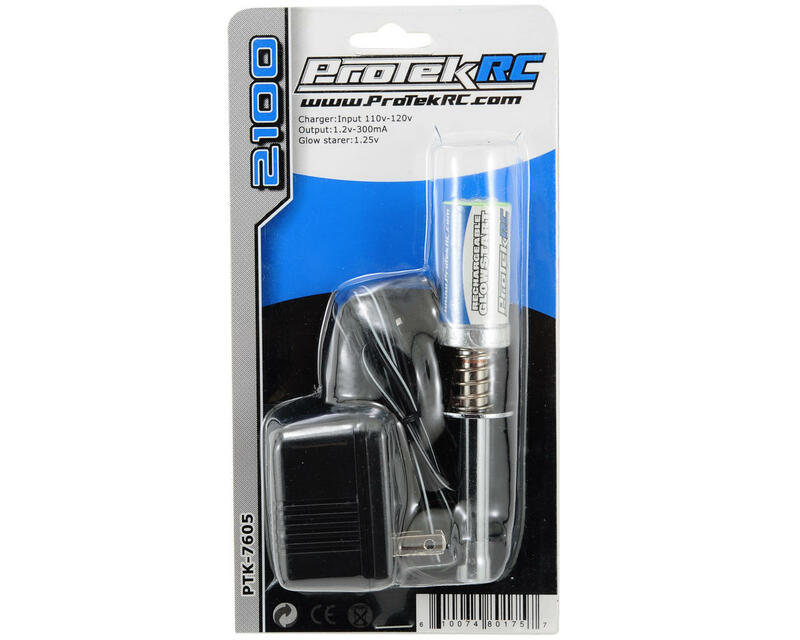 This is the ProTek R/C "SureStart" Rechargeable Glow Ignitor with Charger. The SureStart ignitor is a high quality rechargeable glow ignitor with an included 2100mAh NiMH cell, and wall charger. This ignitor has a 2.25" reach, and the included wall charger will charge the included battery in approximately 6 hours. 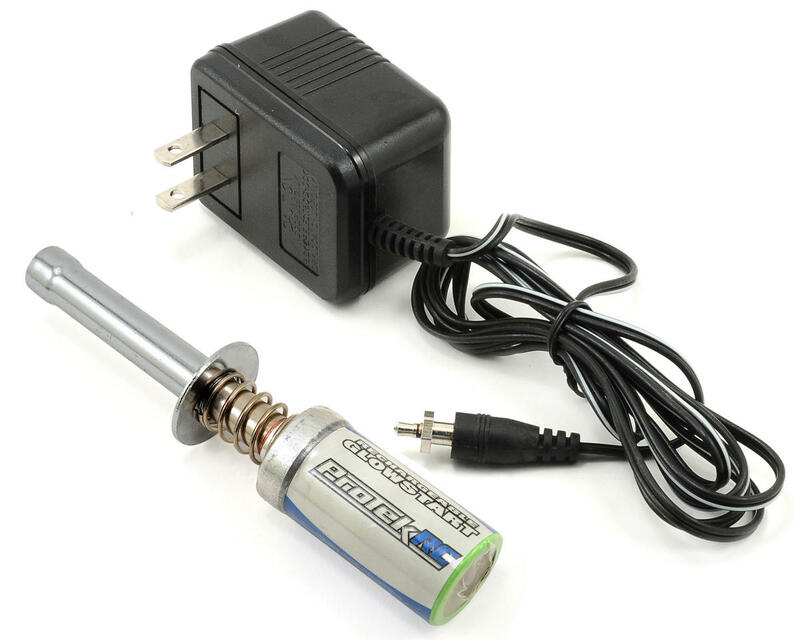 For the best performance during a race day it is recommended that the ignitor be left on the charger when not in use. Do not waste your money on this. At first it seemed like it was good quality. I charged it up and went to start my engine. This thing literally came apart while using it and shorted itself out. Just spend some more money and get a better one. Junk. Lasted about a week, inner spring collapsed and the igniter has completely stopped working. Don't waste your money. This is one of the most reliable ignitors I've ever used. It can go for a few races without being charged and is small enough to carry in your pocket. I'm a fan of ProTek parts, but this is average at best. Yes, it will do the job, but it looses its charge very quickly. We use it as a back up now - but doen't hold it's charge I'd spend the extra few bucks and go with an OFNA version of this. Great bang for your buck. Wall charger gets hot. This glow ignitor is now old trusty.